The field of Republican presidential hopefuls is about to surpass a baker's dozen thanks to yet another addition to an already crowded race. Chris Christie is looking to throw his hat in the presidential ring as the 14th GOP candidate. The former New Jersey Governor already has his campaign slogan picked out and it's absolutely terrible: "Telling it like it is." The slogan is more akin to a daytime talk show or Judge Judy, which got me thinking about all the ways Christie running for president is just like a soap opera; he's truly the king of all daytime TV. Though more of a late night guy (as you can see from his April appearance on The Tonight Show Starring Jimmy Fallon), Christie's rise and fall as Republican favorite is incredibly soap operatic. He went from "telling it like it is" in response to Hurricane Sandy to deflecting Bridgegate allegations to further mystifying voters and the general public with his friendship with Dallas Cowboys owner Jerry Jones. Likewise, soap operas first aired on the radio in the evening hours, only to switch formats and time slots completely. Christie and soaps are both over-saturated and inescapable. Here's how they're similar. Christie's teaser gifs and vague, forced use of his campaign slogan as a hashtag are just like soap opera teasers prior to commercials. Though it's obvious his intent is to run for president, there's still that slight question of "what if?" prior to his announcement. Soap operas deliberately leave off on cliffhangers before commercials, just as episodes are ending, and as they conclude each week of daily programming. Imagine, if you will, Christie's alleged emotional outburst at a teacher prior to being re-elected as governor in 2013 preceding an infomercial for The Price Is Right. I can only imagine how many seasons it would take for Bridgegate to resolve if Christie's political career was a soap opera. If anything, it would occur during sweeps week, just as the public was becoming aware of the many illicit lane closures on the George Washington Bridge. The whole affair would be punctuated with Christie's catchphrases and plenty of name-calling, both things that Christie is known for that don't exactly sound like telling it like it is. 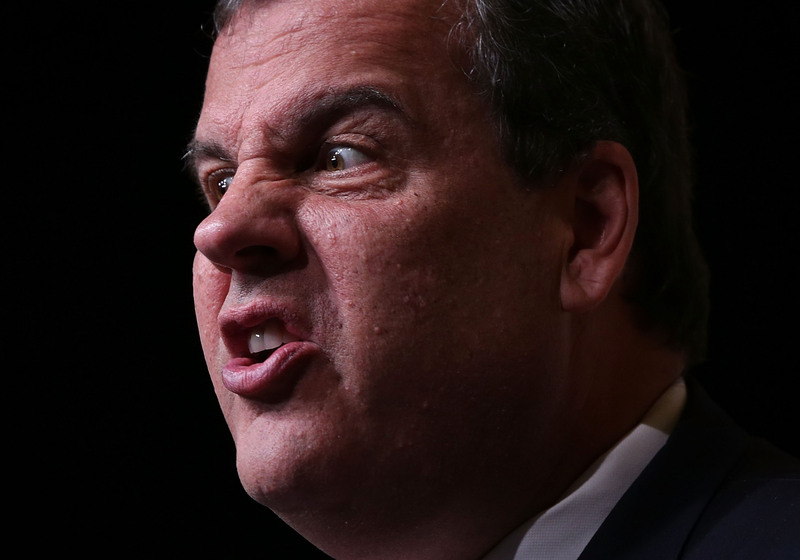 According to Politico, there's even a ranking of Christie's insults with "numb nuts" being the worst. The strings would swell and begin to tremble just before that infamous commercial break. As with his political career, he'd become the most loved, brash character then slowly morph into one of the most reviled. Such is the case with his mysterious bond with Jones. Not even Christie quite knows when and where the two became friends, which is certainly grounds for a sepia-tinged flashback sequence made murky with shoddy video effects. Jones, whose own Legends Hospitality obtained a One World Trade Center contract to operate the observation desk allegedly with the help of Christie, has stayed elusive about the issue as well. As with your favorite soaps, it's a passive storyline that may very well come to prominence, bubbling to the surface when you least expect it. Such drama! Surprisingly, Christie's problems aren't just how melodramatic he is. According to FiveThirtyEight, in addition to the many scandals that have plagued the candidate, it's Christie's moderate stances that may be turning off voters. So, can Christie mount a successful campaign despite himself and in the face of scandal? Tune in next time to the 2016 presidential election.